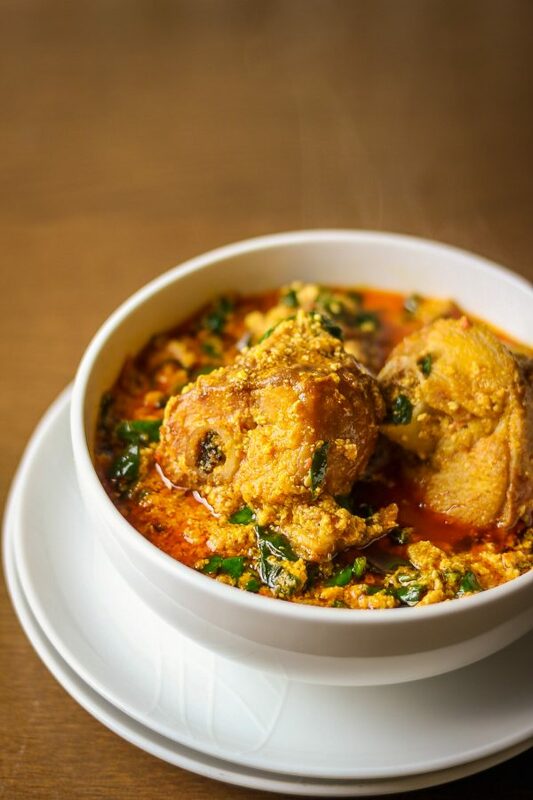 This egusi soup recipe is insanely delicious and easy to make. Before you say I write this about all my recipes, I just want to confirm once again that this is true. I can tell you, this Egusi soup recipe is da truth. To begin with, I wasn’t supposed to post this egusi soup recipe on the blog right away. Then, my family had this soup and it was a hit, so I thought I should share it. Whilst in the kitchen, my daughter told me she had been dreaming of eating noodles or okra soup for lunch. Tough! I told her that we are having egusi soup for lunch, whether she likes it or not (giving her my serious African Mum’s side eyes). I made the egusi soup recipe with pounded yam, and she couldn’t stop singing its praises after eating it. 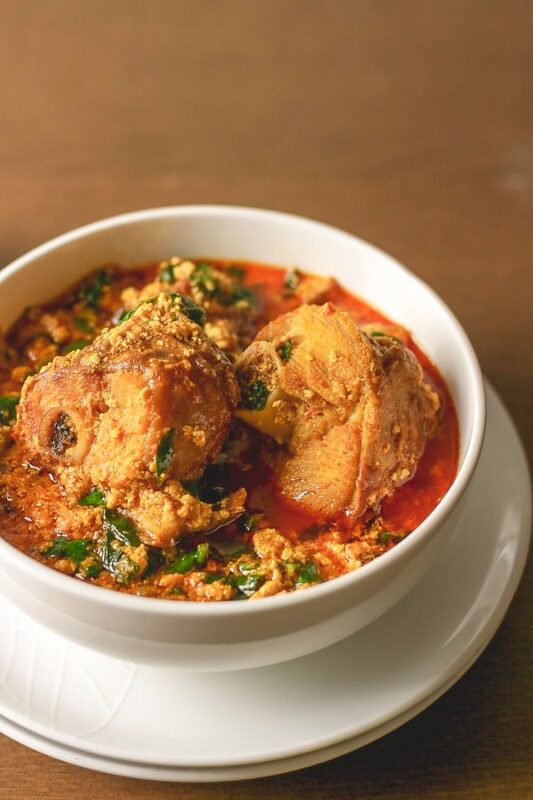 Furthermore, egusi soup is popular in Nigeria and it is best eaten with morsels or “swallow” as it’s popularly called. 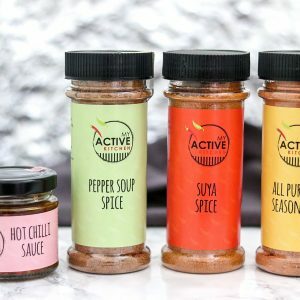 We have other types of soups too (you can check it out here). Egusi soup is very easy to make in varied preferences. I have more than four egusi recipes on the blog and all with different tastes because of the methods of cooking. 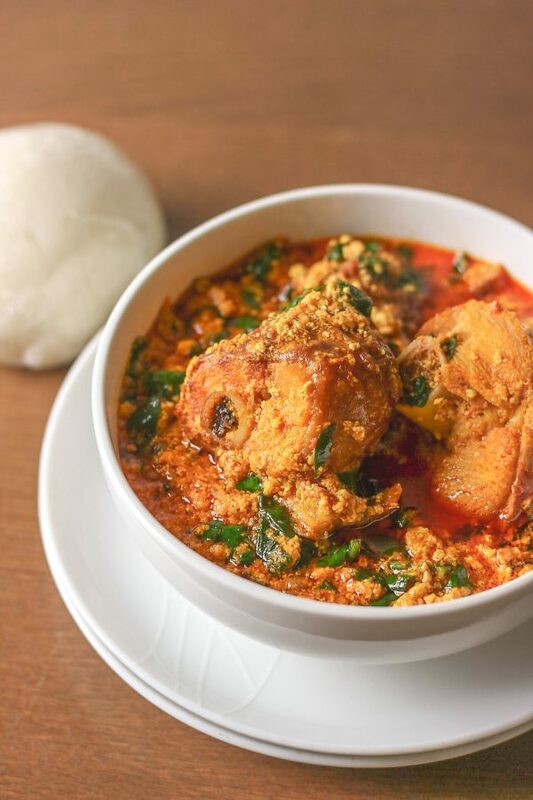 The ingredients used in cooking varies too and it is safe to call it egusi soup 101 as it’s in the simplest way possible and it can be ready under 40 minutes. I made this soup with pepper mix, ground egusi (melon seed), smoked turkey, spinach, dried prawns and smoked mackerel. I have a thing for smoked turkey that makes me want to add it to anything I cook. Its no joke at all, I need deliverance. Don’t blame me though, I think whoever invented smoked turkey should be immortalised. The addition of smoked turkey elevated this dish and we all a second helping just licking the soup. 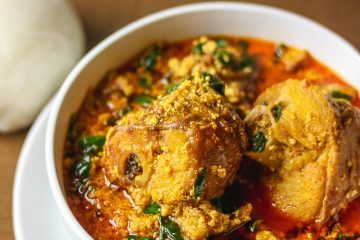 Can I make other type of egusi soup recipe? Yes, it is. 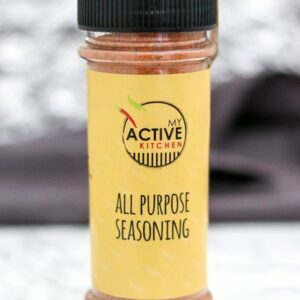 It can be considered as a superfood and it is high in protein, vitamins etc. More importantly, I found an interesting read about egusi here (melon seed) and its invaluable benefits. It is worth a read, Like everything in life, moderation is KEY!!! 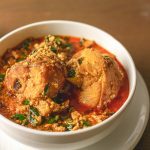 Can I make egusi soup without oil? Yes, you can, just skip the step where you add palm oil. 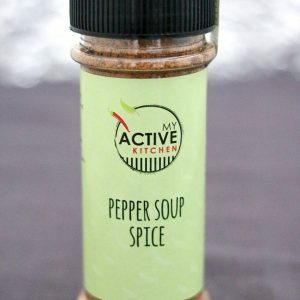 Which type of oil is the best for this soup? I would say palm oil. I am yet to come across anyone who cooks the soup with vegetable oil. 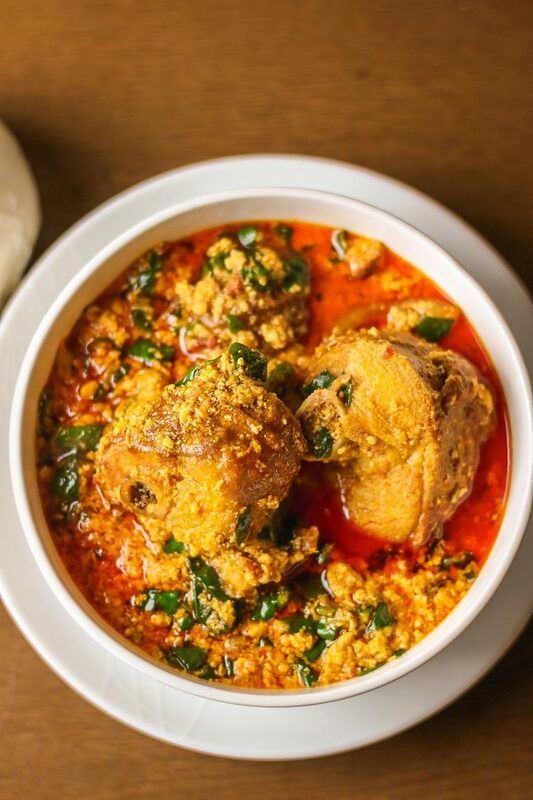 Easy Nigerian Egusi soup in easy steps it is very delicious too. Add pepper mix, locust beans and stir to combine. Bring to boil for 5 minutes. Add the egusi paste in bits to pepper, reduce the heat, do not stir and cover the pot with a lid. Cook for another 10 minutes. Add smoked turkey, ground crayfish and crayfish, beef stock (if using) and stir to combine. Add bouillon cubes, taste and adjust accordingly. I didn’t add salt to this soup as the smoked turkey and mackerel already contained salt. 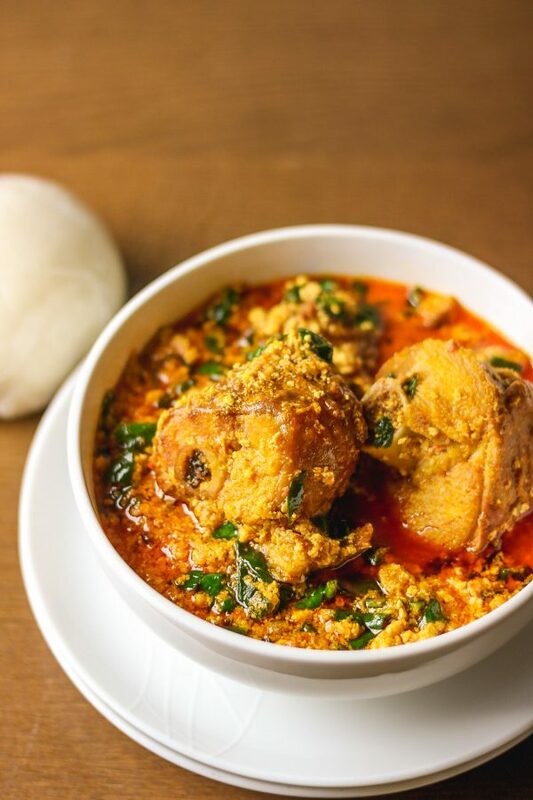 Finally, as always lovelies, if you make this egusi soup, I’ll recommend it with pounded yam. Please leave a comment for me. 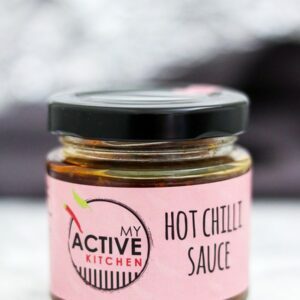 Also, pin this recipe on Pinterest or tag me your beautiful yummy image on Instagram.